Microdiscectomy and decompression is a type of outpatient minimally-invasive spine surgery that requires a sophisticated surgical microscope, specialized instruments, and microsurgical techniques. The goal of microdiscectomy or microdecompression is to decompress the nerve root(s) and spinal cord, relieve symptoms, and enable the patient to return to regular activities of daily living. Using advanced minimally-invasive techniques, Dr. Stieber is able to gently spread the muscle surrounding the spine with what is termed sequential tube dilation, this avoids the cutting of muscle generally associated with standard spinal surgery. The use of a robotic microscope allows for excellent visualization of the spine through an extremely small “Band Aid” incision, generally 16-18mm. Contact us today to schedule one of the top specialists in microdiscectomy New York has to offer. Disc degeneration, herniation and spinal stenosis are common spinal disorders that may compress spinal nerve roots and/or the spinal cord. Compression or pinching of these neurologic structures may result in back and/or neck pain that spreads (radiates) into the lower body (lumbar problems) or upper back, shoulders, and arms (cervical disorders). In addition to pain, neurologic symptoms may develop and include numbness, tingling, and weakness. Not every patient with a herniated disc or spinal stenosis requires spine surgery. Dr. Stieber may recommend micro discectomy or decompression for the following reasons: if non-operative treatment fails to relieve symptoms, progressive worsening of neurologic symptoms or pain, and/or neurological problems. Numbness, loss of function, and weakness are examples of neurologic dysfunction. 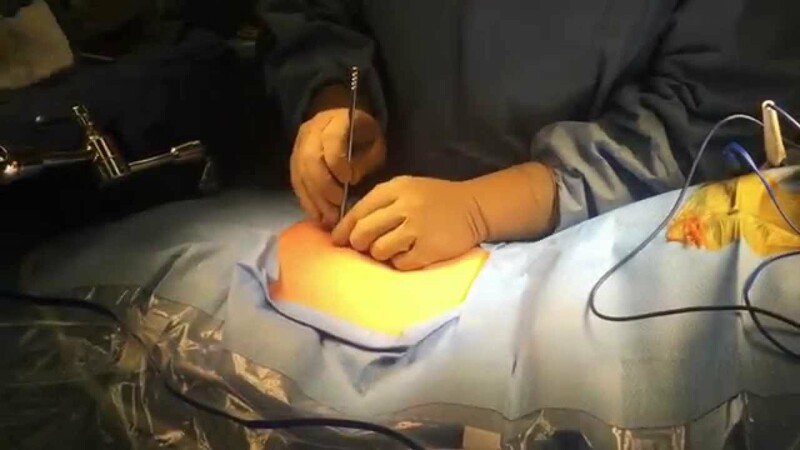 Dr. Stieber's NYC microdiscectomy or microdecompression is performed under general anesthesia. The back is cleansed and prepared for surgery. A tiny skin incision is made approximately the width of a dime. Microsurgical instruments are guided by fluoroscopy (surgical imaging). Sequential dilation with special tubes is performed until the spine can be directly visualized using the operative microscope through a very narrow tube. A small window is made in the bone to allow access to the pinched nerves that are located within the spinal canal. The nerves are gently moved to the side and protected using specialized microsurgical instruments. The offending disc fragment or piece of the herniated (ruptured) disc is then removed. The nerves are then examined and gently probed to ensure that they are free of any further compression or problems. The wound is then washed out with antibiotics prior to removal of the tube retractor. Once the procedure is complete, the wound is closed with absorbable stitches and a bandage is placed the size of a large bandaid. After surgery, the patient is moved into the recovery area. In recovery, nurses and other members of the medical team closely monitor the patient’s vital signs – pulse, respiration, blood pressure, and pain. Some post-operative incisional discomfort should be expected and patients receive pain medication either through their IV (intravenous line) or by mouth. Many patients go home the same day as surgery. Dr. Stieber discusses the likelihood of hospitalization with patients before their surgery date. Dr. Stieber provides micro discectomy and micro decompression patients with information about what to expect and self-care after hospital discharge. This information includes instructions to control pain, medications, diet and managing constipation, bathing and incision care, activity restrictions, and the surgical follow-up appointments. Dr. Stieber prides himself in delivering among the top microdiscectomy New York has to offer and as always, he and his staff welcome questions and ensure that all patient concerns are thoroughly addressed.